This week I attended a really interesting seminar on Art and Taxation hosted by the Institute of Art and Law – but fear not, I will refrain from delving into it. I did however spend an unsurprising amount of time in Mayfair as S2 opened the third and final component of Signals Reimagined, Levy Gorvy was irresistible in presenting two of my favourite artists in dialogue and Artangel took over Cork Street’s construction site for an incredible fund raising auction. On Wednesday I made my way to St George’s Street where S2 had transformed itself into a reimagined Signals. Reincarnating the spirit of the group set up in August 1964 by Medalla, Brett, Keeler, Salvadori and Metzger whose news bulletin aimed to further the movement’s devotion to ‘the adventures of the modern spirit’, S2 has morphed into a new iteration of the four-storey gallery once located on Wigmore Street. Over the course of its two years, the gallery had become known for the coalescing not just of different fields – such as art, architecture, poetry and technology – but also of different social and cultural approaches to the practices, largely due to its international reach. Artists would be allowed to experiment and collaborate freely, artistic exchanges were set up between European and Latin American outposts allowing cross pollination to occur. Whilst contemporary models such as Condo aspire to similar goals, Signals became a crucial forum at the time to discuss experimental art. For the occasion, S2 played host to an array of works primarily executed in the 1960s, although a few, most notably Medalla’s Cloud Canyons No. 31 were conceived in 1964 but rendered concrete in 2016. I remember seeing Cloud Canyons No. 3 for the first time at Tate Modern when the Blavatnik tower first opened. Unlike the clear fountain structure of the Tate’s work, No. 31 is a far more intricate and exuberant sculpture, as the foam clouds are directed through intertwining tubes. We also find de Camargo’s works on wood, such as Premier Essai de Relief En Bois and his large Untitled, whose wooden fragments evoked severed fingers due to their combination of angular and concave forms. Lygia Clark’s famous geometric canvases were present, but one of the works that resonated with me most was her Bicho. Monumento a todas as situaçóes, a small aluminium cut out sculpture that can be exhibited in different positions, due to its flexible sheets and hinges. Predictably, Dom Sylvester Houedard’s Arithmetic Poem was the work I thought about most upon leaving the show. 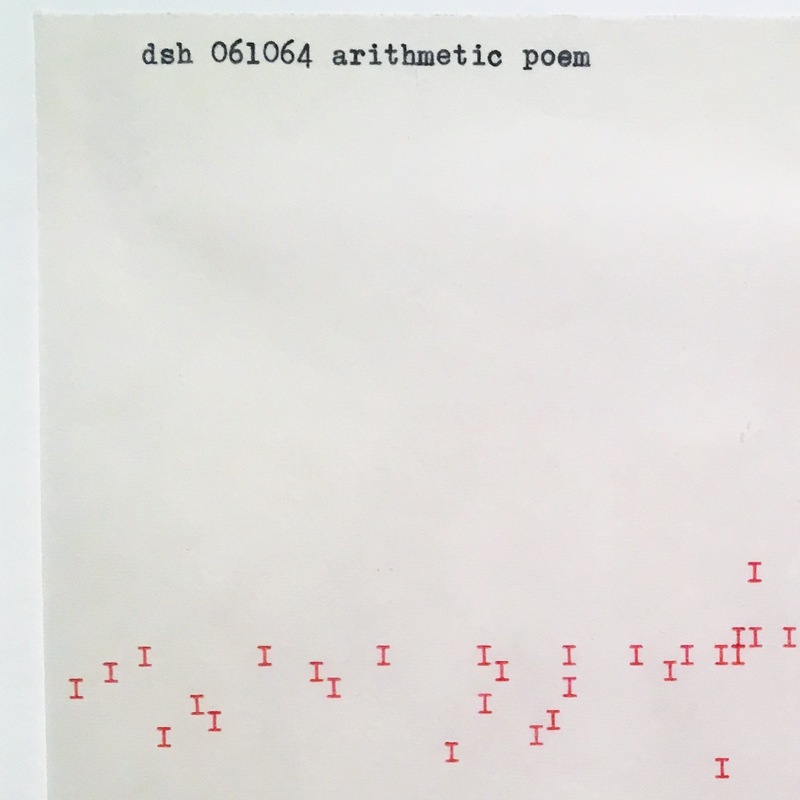 Placed unassumingly by the staircase leading us to yet another dsh work, Arithmetic Poem is one of the best examples of concrete poetry – where typographical elements become the most important medium to convey meaning, rather than linguistics. Whilst I’m not in New York to see an extremely rare solo show dedicated to Houedard – an incredible figure, a Benedictine monk who worked on his Olivetti, creating complex poems – at Lisson, I recently discovered that Chelsea Space will present a survey of concrete poetry (opening tonight!) 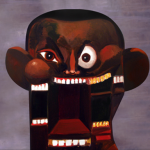 by British artists and designers which I am extremely eager for. 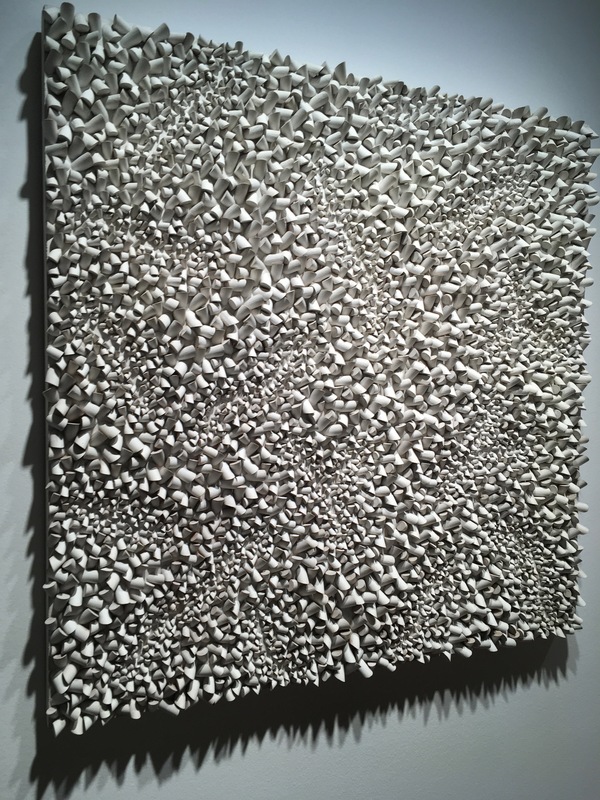 My newfound Houedard obsession aside, I continued my week at Cork Street Galleries where Artangel took over the soon to be gallery hub. My appreciation for Artangel is immense – for those unfamiliar with the charity, for over thirty years it was collaborated with artists, often pushing boundaries in their respective fields, commissioning site-specific and one of a kind installations in unusual locations. A recent example is Taryn Simon’s An Occupation of Loss (see here). 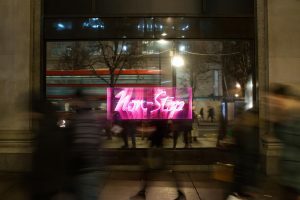 The exhibition currently on display features items from thirty-seven artists who have donated or created works that will then be auctioned in order to fund the organisation’s future projects. Amongst these I found Tillmans, whose distorted self-portrait is fittingly placed opposite Ryan Gander’s I be…(xxii) antique mirror. 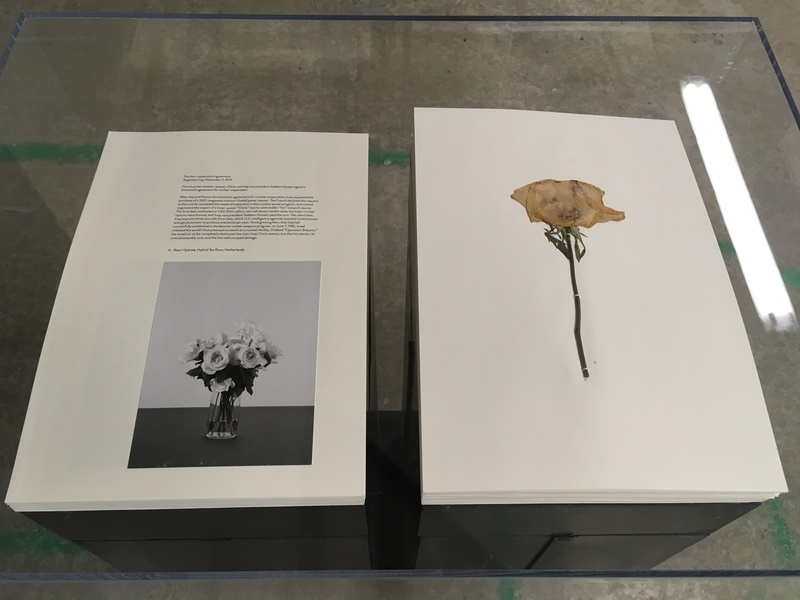 Taryn Simon’s Paperwork and the Will of Capital research, her pressed flowers and notes are contained under a glass dome besides framed inkjet prints of her professional mourners. 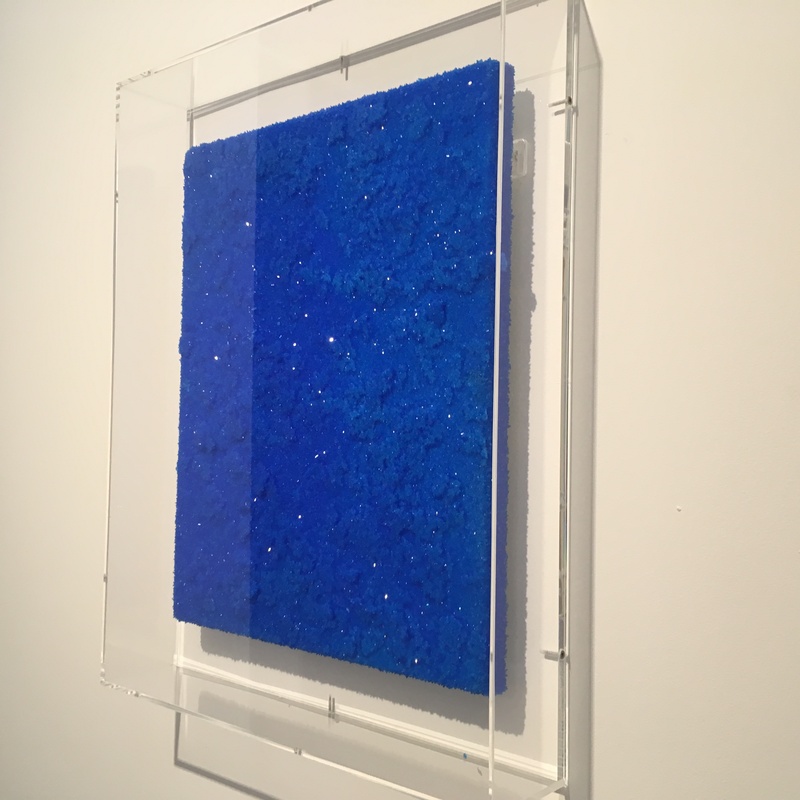 Despite me having a slight aversion to any work that appears to glimmer unnecessarily, I make an exception for Roger Hiorns’s copper sulphate crystals. This small panel component is part of a larger project, commissioned by Artangel, Seizure, which I had the opportunity to observe at the Yorkshire Sculpture Park. 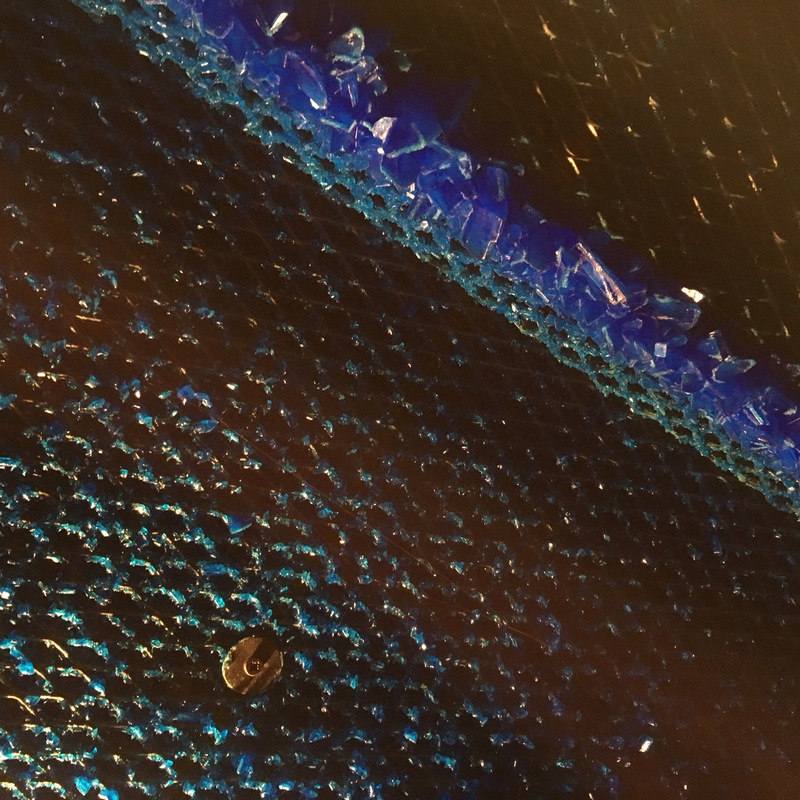 Hiorns poured 75,000 litres of copper sulphate-solution into a sealed flat in Elephant and Castle which was then transported to YSP, allowing the crystal to grow inside. A dizzying blanket of crystal blue shards covers the interior now, from the bathtub to the rusting walls. Walking down the steep scaffolding stairs I found works by heavyweights such as Nan Golding and Douglas Gordon placed on either side of Brian Eno’s Aeolian whose colours and soundscapes shift ever so subtly. Paul Pfeiffer’s Live Evil (Seoul) was the irreverent piece I appreciated most. Reworking and relooping videos of famous figures, in this instance Michael Jackson, Pfeiffer makes the bodies twitch and glitch, allowing them to become mirrored selves. Finally, I made my way to Levy Gorvy, with anticipation, because a two room installation of Klein and Turrell is simply too alluring. 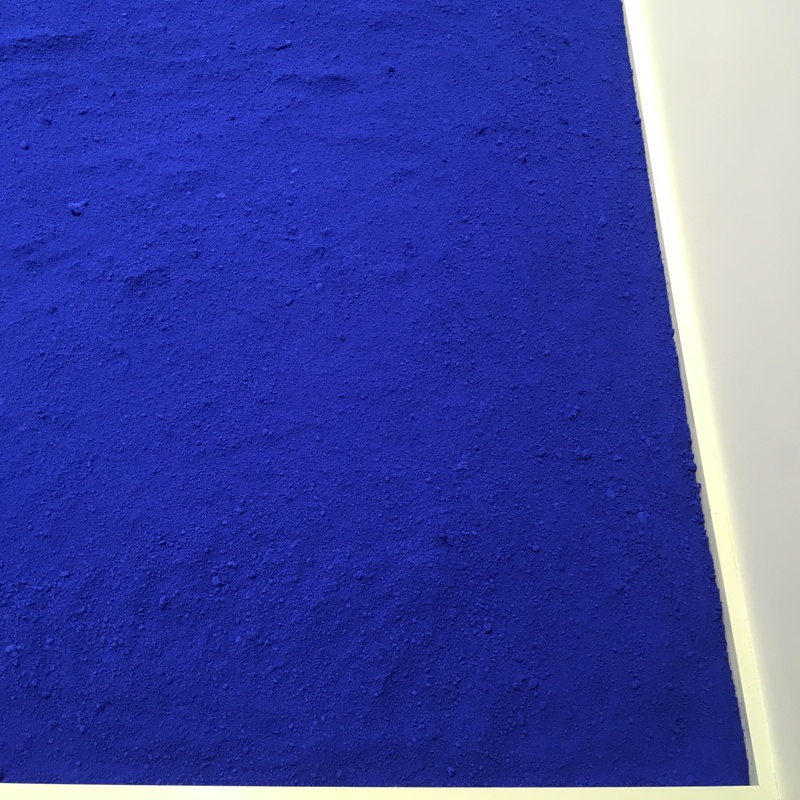 As I walked upstairs, trying (and probably failing) to play it cool I turned right and with the corner of my eye I could see International Klein Blue powder dressing the parquet pavement. I fully stepped into the room and a sea of IKB greeted me. Natural light intensified the ultra-blue Pigment pur blue contained by a delicate wood tray, a jaw-dropping Zen garden. In the distance a single rectangular canvas acted as a beacon, elongating the gallery space, playing with my sense of perspective. I felt the urge to dive into what I imagined to be the most pleasant of waters and, after staring intensely at the scene before me, trying to absorb as much Pantone 286 as I could, I finally persuaded myself to continue, as I remembered that Turrell’s Orca, Blue-Red was in the adjacent room. 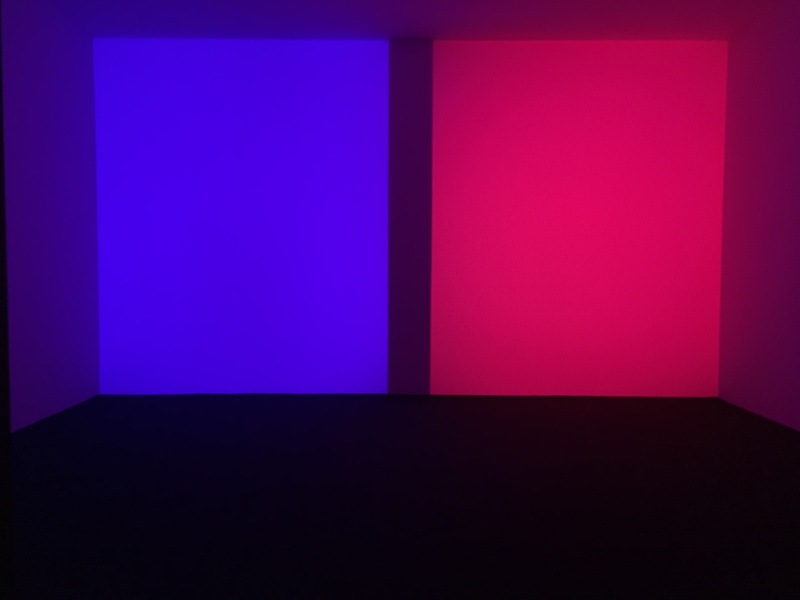 As one of the earliest works in Turrell’s Projection Piece series, Orca, Blue-Red features two beams permanently divided by a thin strip of shadow. 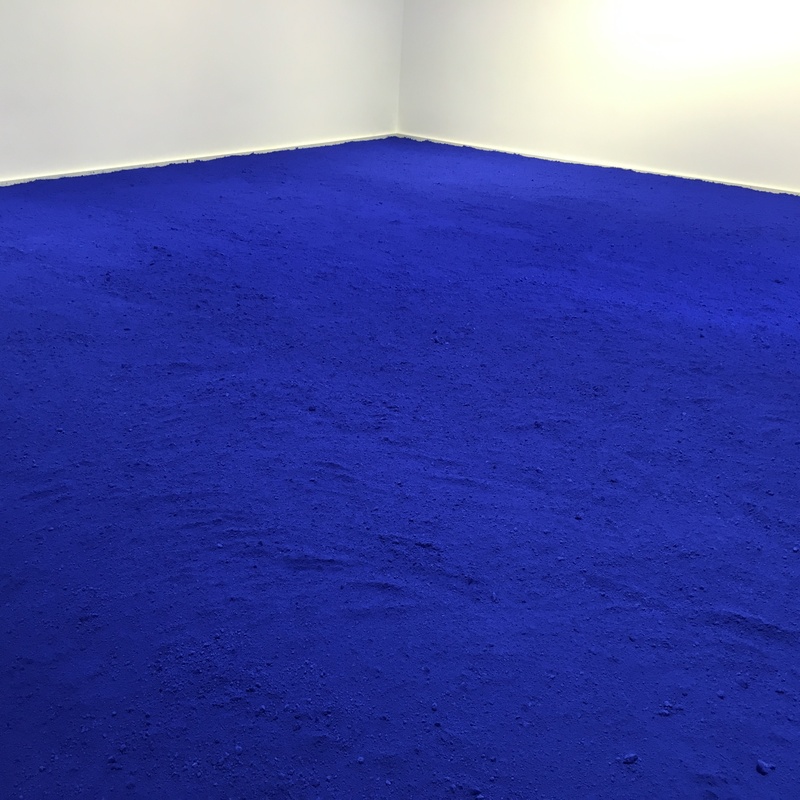 Much like in the Yves Klein room, my sense of perception was completely warped and I could no longer determine the contours of the gallery, nor did I care. 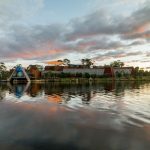 Once I was alone in the room, plunged into Turrell’s world, the beams producing hypnotic white noise, I found my mind meandering until I came to a moment of stillness and silence. With the debut of its FOCUS series Levy Gorvy wants us to consider works by exceptional artists in a quieter way, one which allows for prolonged exposure and enhances the works’ power to move us. We are forced to concentrate on single element at a time, which is refreshingly antithetical to the constant stimuli we respond to, particularly with extensive retrospectives or group shows. As I left Klein’s South of France and Turrell’s Southern California, both toying with my notions of light, colour and shadow, I dreaded plummeting back into bustling Old Bond Street. Signals is at Sotheby’s S2 Gallery until 13 July 2018. FOCUS Klein/Turrell is at Levy Gorvy until 6 July 2018. 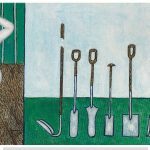 This entry was posted in Art Openings, Art Reviews., Art Stuff London, EXHIBITIONS, My week in the art world and tagged Artangel, David medalla, dom Sylvester houedard, Douglas Gordon, James Turrell, levy gorvy, Lévy Gorvy London, lygia clark, nan golding, Paul Pfeiffer, Roger hiorn, Ryan Gander, signals, Sotheby's, S|2 Gallery, Taryn Simon, Wolfgang Tillmans, Yves Klein. Bookmark the permalink.